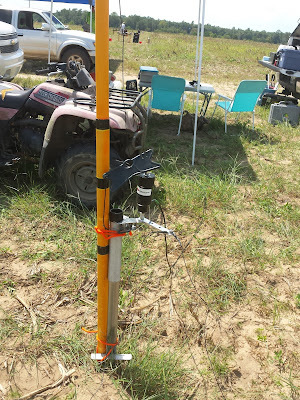 This time the Second Saturday Sprint, sponsored by the Google+ QRP Field Operators Community, fell on the same date as the SEARS Rocket Launch in Samson, Alabama. 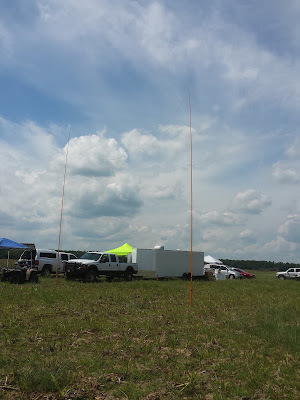 It is not unusual for me to setup my radios at the rocket launch. 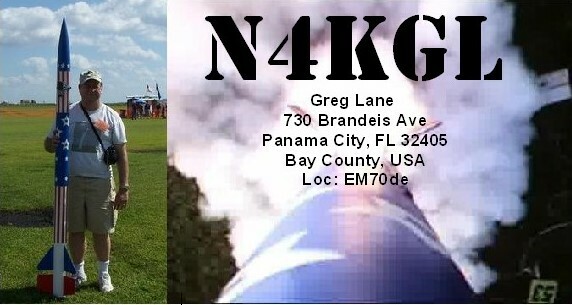 This time Bob WB4BLX and Vic K4GXV came up from Panama City to watch the rockets. My setup for the SSS was the Elecraft KX2 and an inverted L antenna with the Chameleon Hybrid at the base. I ran 10 watts which counts as QRO for the SSS. I don't think conditions were the best. There were loud signals but some of them lost copy on me quickly. In the Second Saturday Sprint, you have two hours, 2 to 4 PM, your local time to make as many contacts you can. You get more credit for working other QFO members but I had no luck finding them this time. The Chameleon Hybrid Base for the Inverted L.
I have friends that chase me while I am portable. This time I worked W4RYZ the club station in Panama City. Bob WB8PAF was the operator. Then, Mike KM4ELJ also found me. He was at home in Youngstown, Florida. 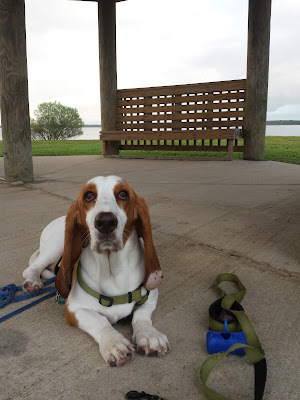 I heard Tom WD0HBR in Dothan, Alabama but he lost me. I also heard John W8JER calling from Sturgis, Michigan but he did not hear me. All of this was on 40 meters. I did work a couple more on 40. 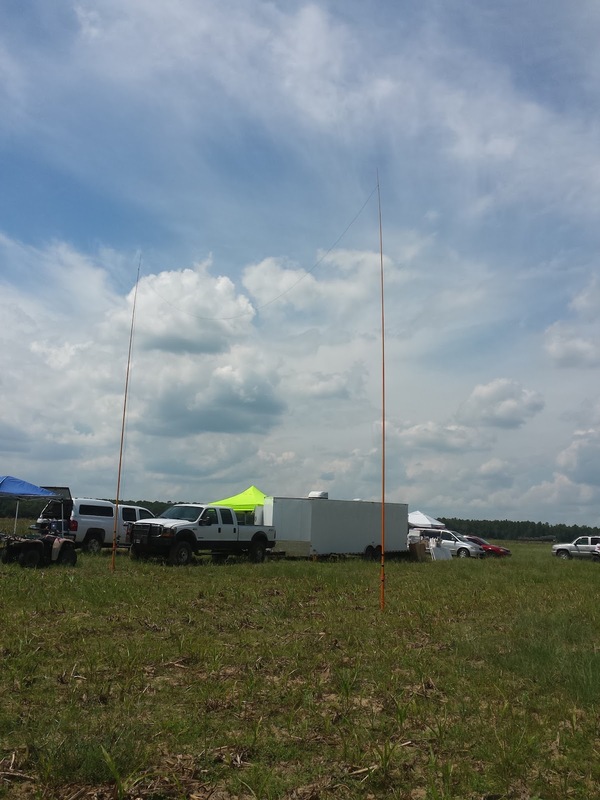 First was AK4NY doing SKCC in Georgia and then WD8ARZ mobile in Tennessee on SSB. On the second hour I went on 20 CW. I worked WA2BQU in New Jersey on 14.061. Then F6EJN and VE3DZP operating SKCC. The Second Saturday Sprint gives you credit for non-sprint contacts including other events like the SKCC Weekend Sprint and also casual contacts. This is just the type of operating that I do for Rapid Deployment Amateur Radio (RaDAR). The Second Saturday Sprint runs May through October. I may miss the final one in October. They have been a lot of fun. Jim K0RGI says he will advertise the SSS more widely next year. 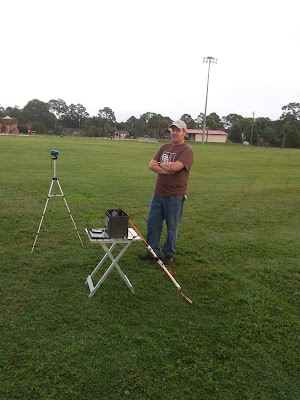 About 7 AM today, Bob KK4DIV and I worked a SO-50 satellite pass..We both got a couple of contacts. I admit to being a neophyte at this. www.work-sat.com is a great reference. I have a few confirmed contacts at this point. You can get the job done in many ways. 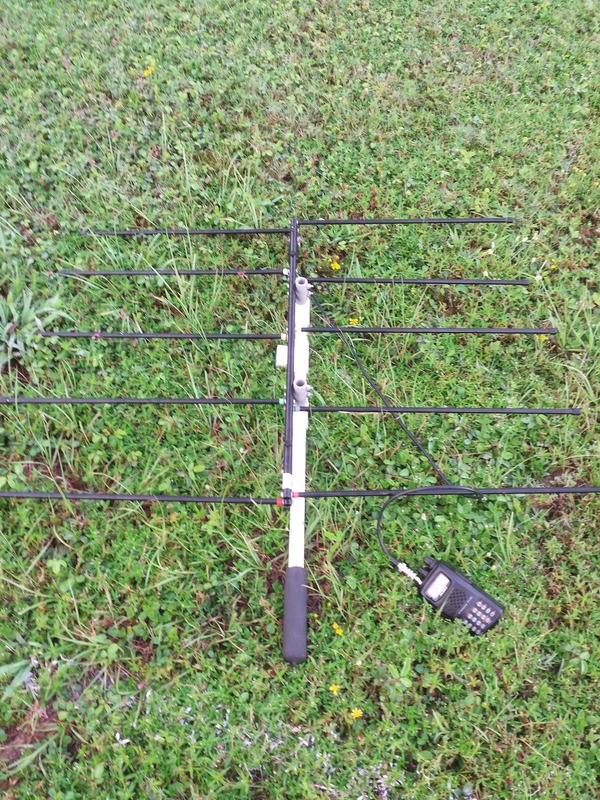 The Saudi Oscar 50 bird requires a VHF uplink and a UHF downlink. The downlink receiver needs to change frequency during the pass to adjust for the doppler effect .I have a Yaesu FT-60 HT which allows memories to have VHF/UHF pair. That is convenient but not mandatory. 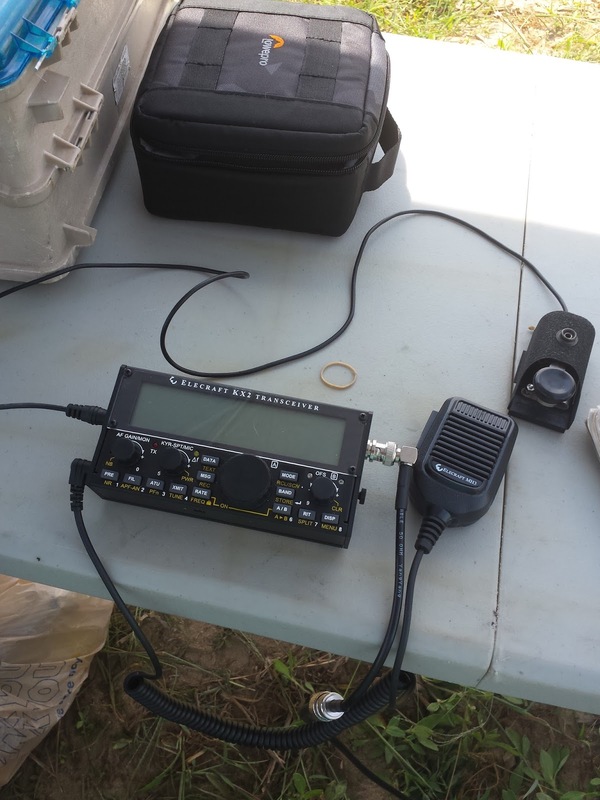 Bob KK4DIV used a FT-8800 mobile rig successfully today. He took advantage of the dual watch feature. 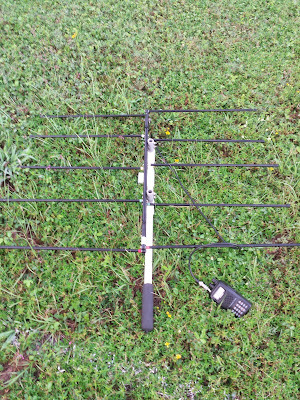 I purchased an Elk antenna but Bob used a tape measure yagi he made for fox hunts. So you may already have something usable. I found out today why they recommend duplex. Duplex allows you to hear your own signal returned on the downlink. I forgot to change the channels for the doppler. So when I threw my callsign out they heard me but I did not hear them, That was bad form on my part. I have a duplexer on order. That way I can hook two HTs to the same antenna for duplex. Bob got away without a duplexer with the FT-8800. Working satellites outdoors portable fits in the style of operating I like. In fact, Eddie ZS6BNE enjoys operating Sats and he put in a Sat bonus for the RaDAR Challenge. Field Day has a Sat Bonus as well. I am going to take credit for my Sat contact at Gulf Islands National Seashore for the Five Star Activator NPOTA bonus. The AMSAT-NA awards are based on working four digit grid squares. I see that moving among the grid squares can be lots of fun and helpful to the other ops. I am using LOTW to log and confirm contacts. I got started with LOTW doing NPOTA. 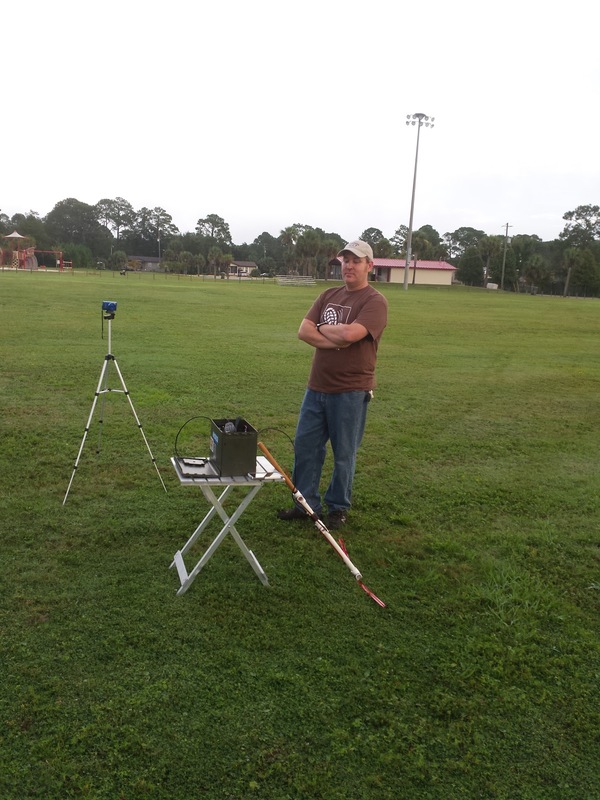 I look forward to learning more about Sat ops and experimenting with equipment. I had a good time operating with Bob today. It was worth getting up early. Enjoy the videos.